I am pretty sure I have photographed my children everyday since they were born. Well, almost everyday. And while I am NOT a professional photographer and have no desire to photograph anyone other than my family I have picked up a few tricks for photographing a toddler. So you are newly pregnant, getting pregnant or are about to get pregnant or you're about to pop. There are a few things you're going to need. But they don't have to be pricey. Extend the life of your pants. By using a belling band you can wear your pre pregnancy pants a little longer. The Baby Be Mine band is about $16 and ranges in size 0-24. Thrift store junky. I ran to my local thrift store two weeks ago to pick up a couple things for the boy. When I was there I saw scads of maternity clothes. Cute clothes with the tags still on them! These things were selling for $1 - $4. I thought about it, a lot of women have a baby and then discard their maternity wear because they are either done having youngins' or the clothes will be the wrong season. Borrow. You don't need to buy a whole new wardrobe for such a short period of your life. If you have a friend who is the same size as you borrow her maternity clothes. Bump to Bump. Bump to Bump is an online consignment store that sells maternity and nursing wear. I haven't personally used them, but is seems worth a try. Nursing bras and tanks for cheap, thanks. This is key if you plan to nurse. I am going to say this now. I really dislike Walmart. I worked there. I think I earned the right to never go back. But, they have really great, particle nursing bras that don't fall apart. I bought mine for $8. Also, Target has some that are cute for around the same price. There are a few things you will need that are not clothing related. Buy a used breast pump. I bought a practically new Medela Pump in Style from a friend for $130. And when I had my baby the hospital gave me all new accessories to go with the pump. (Bump to Bump has one listed right now. Register for it. I know, this sounds terrible. But people want to buy you things. Don't be afraid to register for nursing gear. Were you afraid to register for that swing your baby naps in? No. Think of this as a necessity. I bought a Boppy pregnancy pillow because my back hurt so bad I couldn't sleep. It was crazy expensive- $40. Yes, I see that as crazy expensive. But by the end of my pregnancy it was so worth it. 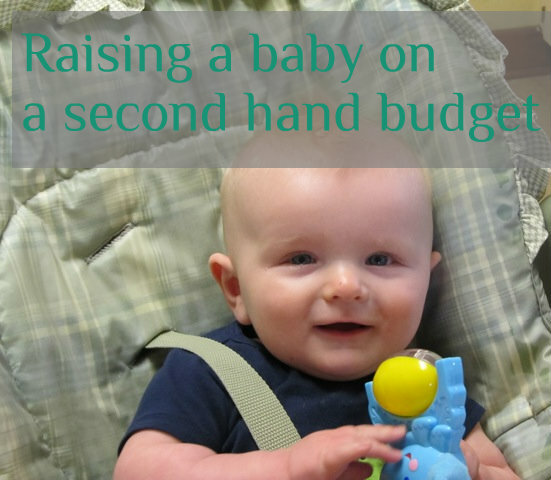 Raising a baby on a second hand budget: Clothing on a dime. No one can deny that having a baby is expensive. But it doesn’t have to break the bank. I was amazed when registering for our baby the amount of things people think you need. I am not a brand snob. By any stretch of the imagination. I thank my mother for that, she raised us on Payless shoes and the Dollar General. When my husband and I were planning on having a baby our financial circumstance was a far cry from what it is now. - Within two months of my son being born my husband got a great job with great benefits that allowed me to stay home. We moved closer to my parents for said job and we paid off all $10,000 of our credit card debts and the bills we racked up from having our son. I know, it has God written all over it. We were looking at paying for this baby on a shoestring budget. And thanks to some generosity from friends and family- we did. So, I am breaking down to you our second hand baby. Wow, that sounds sad. Clothing- 99 percent of my son's clothes are second hand. And we didn't pay for any of them. My sister and my friend Heather were kind enough to give us clothes. For real! 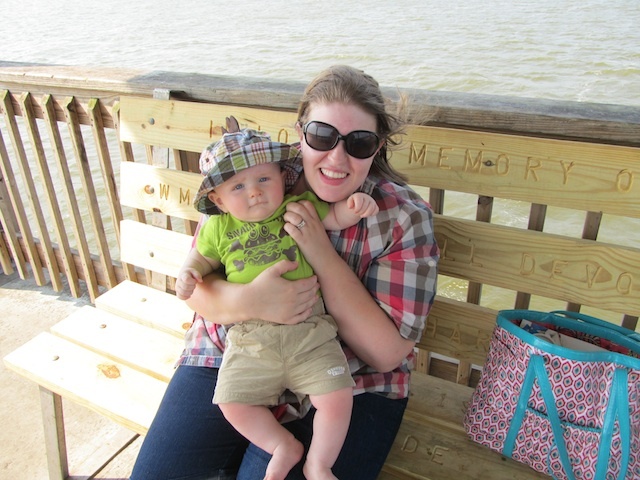 Heather's baby was born one year before mine, and like my baby he was a chunker, so his sizes match my son's in season. She gave us great, name brand clothes. Everything from jammies to onesies and some things even had the tags on them. When I tried to pay her she shook her head and smiled. My sister did the same thing, handing over a giant plastic container of clothes. When little bit out grows one set of clothes I break out the plastic container and restock. It is like shopping. But say you don't have an awesome big sister, or generous friend. What can you do? Thred Up - This is a great website where you can get clothes, shoes, books and toys. The clothes are always in great condition and are 70 percent off of retail. They also have this great service where you can sell your kids clothes. They send you a bag, you fill it up with name brand, gently used clothing and they pay you. ** Thread Up used to have a flat rate, but as Kristen from Trial and Error Homemaking (a terrific blog) points out "Thred Up changed the way they do things. It's more like a consignment store now - where you purchase individual items. For instance, when I went to their site just now, the first item was a plaid shirt in size 4 for $14.49. They list "retail values" to try to justify their prices (this shirt was apparently 72% off). In my opinion, it's not nearly as great of a deal." Be a sales rack Diva! 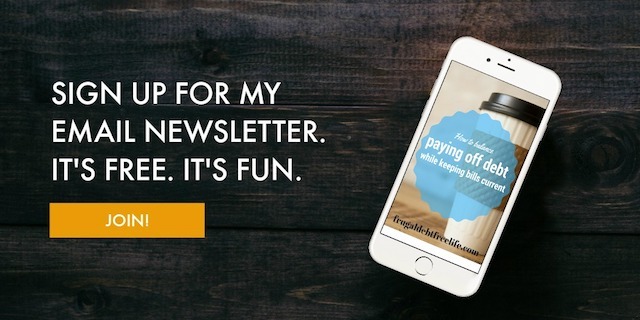 I got a free subscription to Parenting Magazine through a couponing site. Each month they have a 20 percent off coupon for Gymboree and Crazy 8's. If you combine that with the Gymboree sales rack at the end of the season and buy ahead for next year, that is some big bucks. I am talking corduroy pants for $2 people! Buy ahead - last week we went to Target where I found pants for $1 and shirts for around $2. (I paired that with a gift card I had gotten from ebates so basically my stuff was free.) The sizes I purchased were 12 months and up. My son won't wear those for a few months, but I have put them in his closet and when he gets bigger we will be ready to go. eBay! - So why was Heather so willing to just hand over bags and bags of kid's clothes? Because she got them for a steal on eBay. You can buy kids clothing in bulk. Need to outfit your child for the summer? No problem, just type in a size and season and many, many eBayers are selling a garbage bag full of last year's summer clothes. Consignment sales- In January my husband and I went to a HUGE consignment sale in Mobile. It happens twice a year and we made off like bandits. Plus the sale was running a Living Social special so that made it even sweeter. 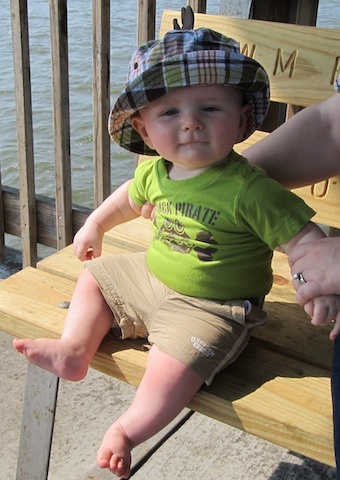 But, a little warning, when dealing with boy clothes, consignment sales aren't always a good deal- I think boys, even as babies, are hard on their clothes. Want to find a consignment sale in your area? Check out Consignmentsalfinder.org. What have you done to save cash on clothing those kids?